Ryan Says: I raise monarchs and often find them feeding on my zinnias. 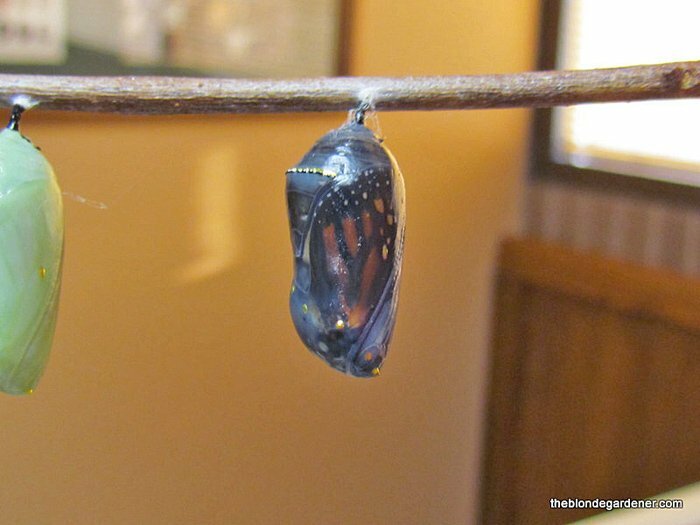 Brenda says: A tell-tale sign that your Monarch butterfly is about to emerge is when the chrysalis turns transparent and you can see the butterfly inside. 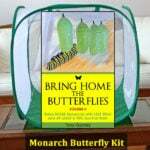 A good cage is a crucial tool for raising healthy monarchs should you decide to raise your own. After trying many different options, these are my favorite cages. 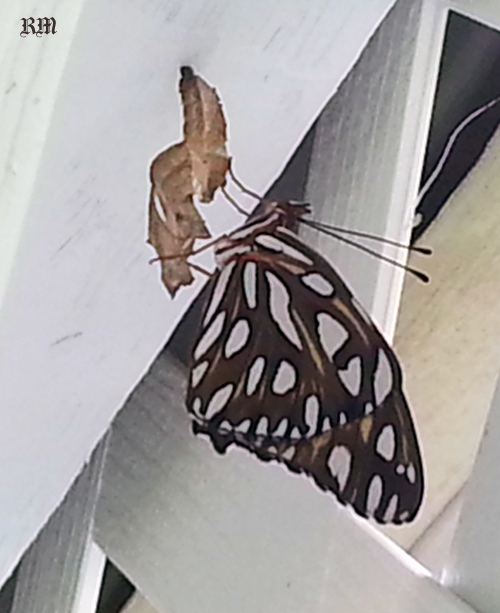 Ron says: This Gulf Fritillary had just hatched after dining on our Maypop. Maypop is one of the hardiest varieties of passion flowers. 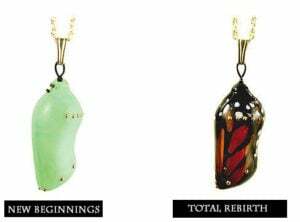 You can find out more about it on this butterfly vines page. Tuire says: This is one of the three male monarchs which took their first flight on Saturday 7.20.13. I raised them from eggs and all came out healthy and beautiful. 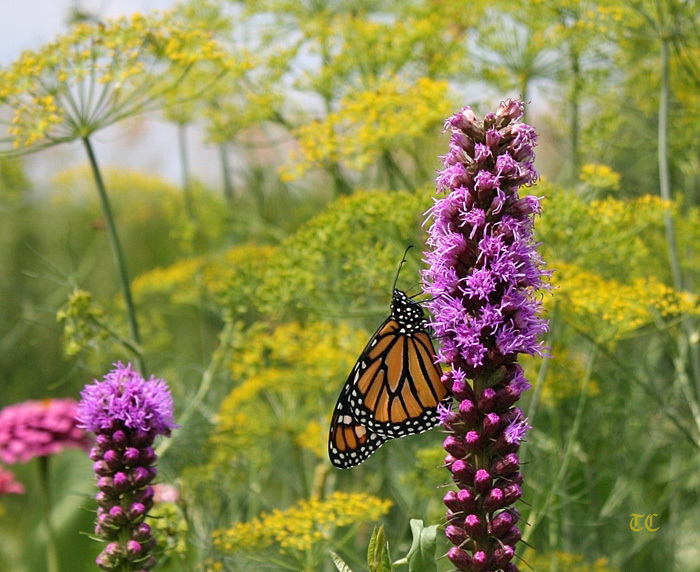 I placed them on this liatris and managed to get butterfly garden pictures of the last one to fly out. The background shows my dill, which was full of swallowtail caterpillars! 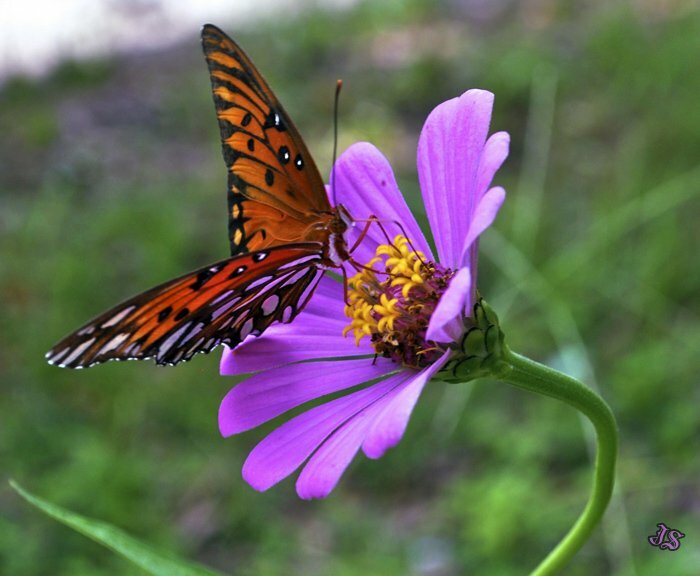 Jessica says: This picture was taken at Magnolia Plantation and Gardens in Charleston, S.C.
Zinnias are a popular annual with both butterflies and their gardeners. 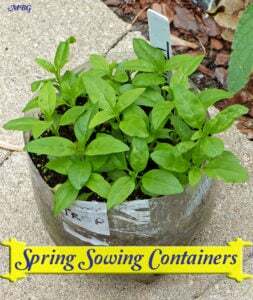 Here are 5 big zinnias for a busier butterfly garden. 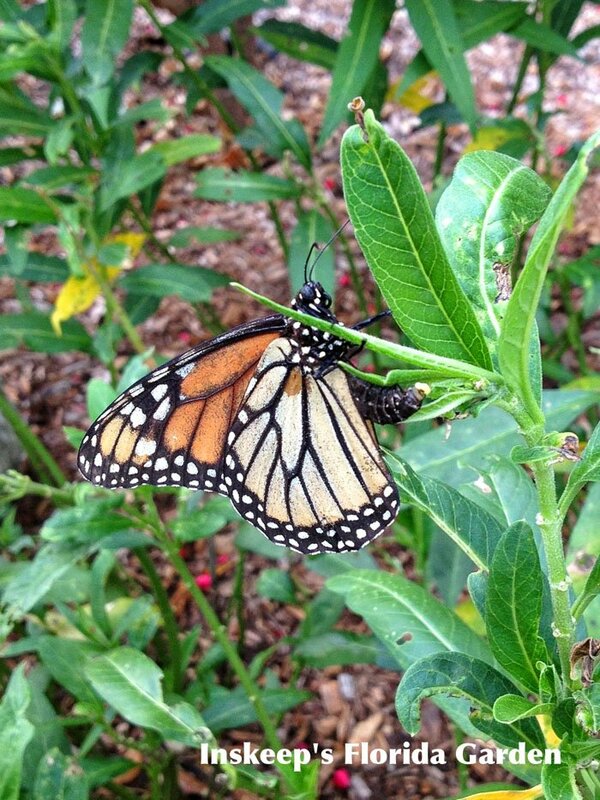 Sheri says: This female monarch was feasting on nectar of the tropical butterfly weed (Asclepias curassavica) in my flower garden. 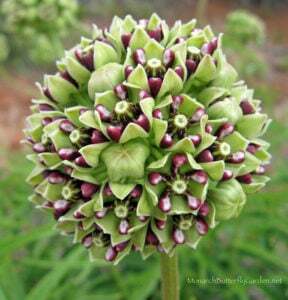 For more info on tropical milkweed click here. 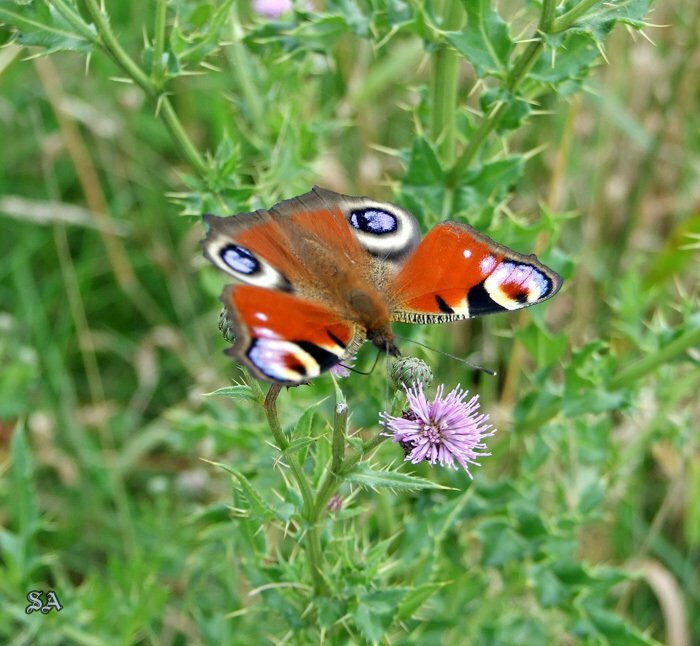 The peacock butterfly (Inachis io) is common to Europe and temperate Asia. A close-winged view of this species would not suggest the brilliant explosion of color inside. 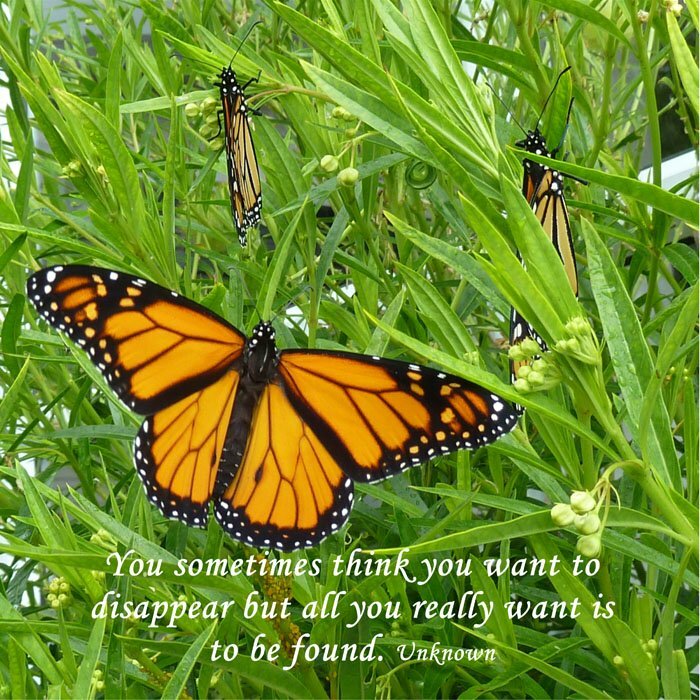 For more inspiration, check out these butterfly photos with inspirational quotes. 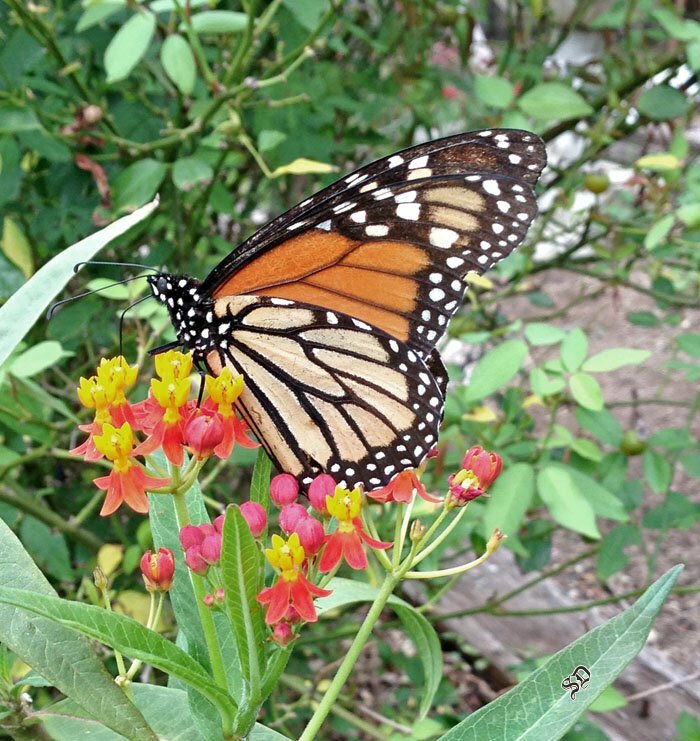 If you would like to join the monarch butterfly garden community to attract monarchs and other beneficial pollinators to your garden, sign up for free and let me (and the MBG community) help take your butterfly garden to new heights.